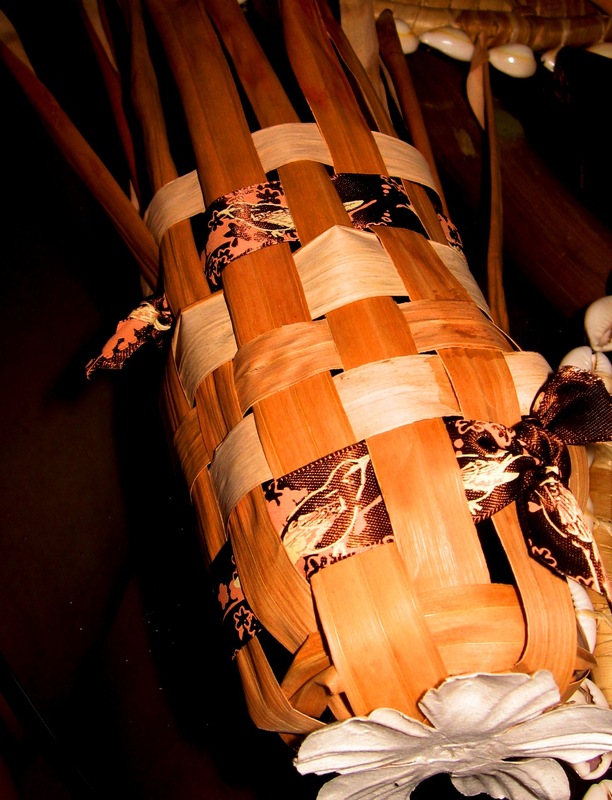 Here’s another banana palm basket I made while in Molokai. 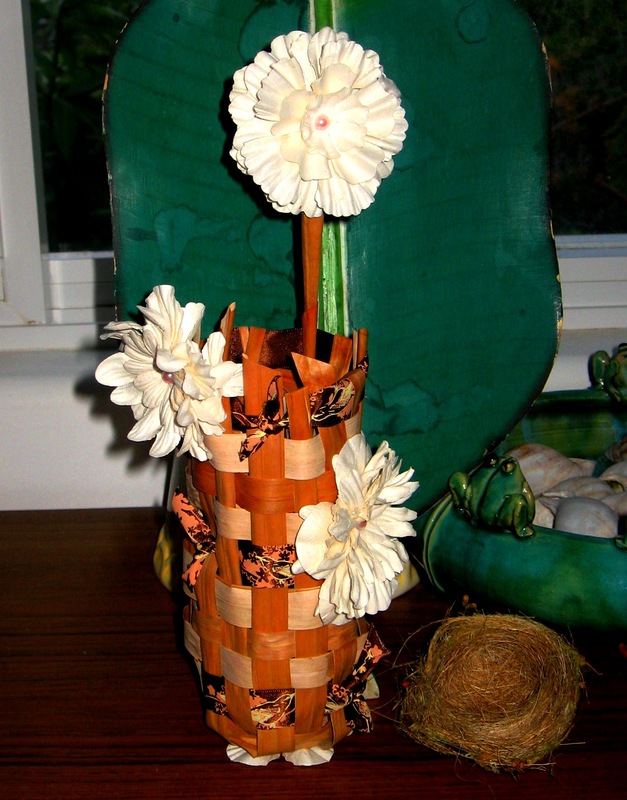 This time I used some Prima ribbon along with the dried palm leaves and made the basket about 8 inches high. 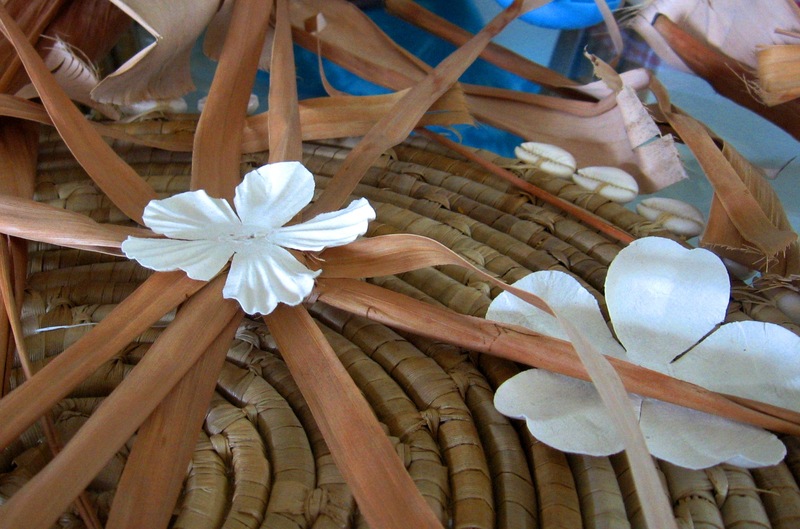 The weaving was much easier with the larger pieces and I just love the way the colors of the ribbon and the naked look of the Prima Innoscense flowers compliment the soft browns of the palm leaves. Another basket is in the works, this one with using palm and wire, so stay tuned!